Gratis NOLA! : What a Weekend in NOLA - Free Donuts, Wine, Festivals, Naked Bikes, Celebrating with Mr. Okra and Art! What a Weekend in NOLA - Free Donuts, Wine, Festivals, Naked Bikes, Celebrating with Mr. Okra and Art! Happy Weekend! Lots of good stuff going on around town! Celebrate one of the sweetest days of the year by commemorating National Doughnut Day with a one-of-a-kind complimentary treat from Krispy Kreme®. Stop in to any participating Krispy Kreme US shops for a FREE doughnut of any variety. How: Just show up! 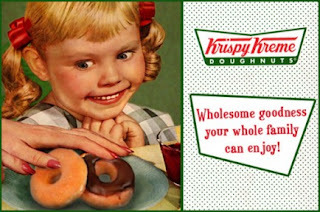 The offer is good for one free doughnut of any variety per customer on Friday, June 7 only. Visit for store locations. Cost: Free! No purchase necessary! 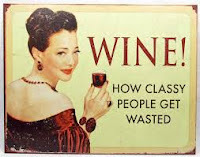 It's the weekly wine tasting over at Pearl Wine Company (Orleans at Moss St.) - from 5:00 to 7:00 pm. 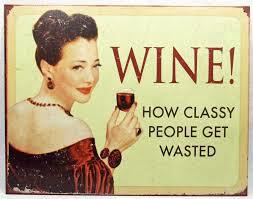 Come out and sample some fantastic wines! Festival season ain't over yet! We got two big events in the Quarter this weekend! It's Cajun - Zydeco Fest at the The Old U.S. Mint (400 Esplanade) - Saturday and Sunday from 10:30 am to 7:00 pm - Admission is free! The National Park Service and the Louisiana State Museum are providing access to the beautiful new theater on the Third Floor of the Old U.S. Mint - where the Jazz and Heritage folks will present interviews with many of the performers. Audience members will hear first-hand how our artists learned their craft and carry on our culture. And it'll be a great place to get out of the heat and enjoy some cool air before heading back out for more dancing, eating and shopping. Interviews will be from noon to 5 p.m. both days of the festival. THE FRENCH MARKET'S 27TH ANNUAL CREOLE TOMATO FESTIVAL SATURDAY AND SUNDAY! 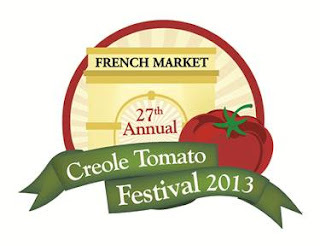 This year's Creole tomatoes will be provided by George's Produce, Ben & Ben Becnel, Inc., and La Greco Farms and will be for sale throughout the Farmers Market. Retail shoppers who spend $30 in French Market District stores receive a free basket of tomatoes while supplies last. Tomato samples will be offered throughout the Festival. For the whole Tomato Fest line-up of fun click here! Swing by Mickey Markey Park for the start of the The Fourth Annual World Naked Bike Ride in New Orleans will take place today. The ride will start at 5:00pm from Mickey Markey Park (Piety and Royal Street)The riders will travel through the French Quarter passing Jackson Square and return to the park by way of Bourbon St. There will be an after party at the Country Club on Louisa St. Ride naked! Party with Mr. Okra tonight at BJ's Lounge (4301 Burgundy St.). 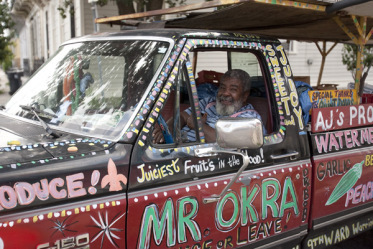 It's traveling produce man, Mr. Okra's, 70th birthday and the fun begins at 6:00 pm with music by Guitar Slim and delicious food from Sergio and family! Come wish him a happy day, and check out his veggie truck - if you've never seen it, you're truly missing a piece of rolling art! If you're looking for some art openings this evening you don't have to go far. Check out these fine galleries in the St. Claude neighborhood - most opening receptions last from 6:00 to 9:00 pm (or a little later).